Fiercely independent, committed to the controversial, and provider of access, training, and programming, that’s KBOO-FM--Portland’s original community radio station. Since June 1968, listeners have relied on the real people with real voices that KBOO brings to air every hour of every day. And while KBOO is staunchly noncommercial, it has a long history of working with local businesses to get their message out to KBOO’s diverse listenership while ensuring continued access to the public airwaves. Every day, retail stores, restaurants, concert promoters, theaters, service providers, labor unions, and many more reach out to KBOO’s progressive, diverse, and dedicated audience by sponsoring, or “underwriting,” specific programs. Underwriters receive on air acknowledgments during those programs that let listeners know who they are, the purpose of their business, location, and how to reach them for more information. KBOO reaches over 100,000 listeners every week, and our listeners are faithful; over one third listen for several hours each day and about half make KBOO their first or second choice of radio stations. Underwriting generally ranges from $30-$38 per acknowledgment; remember, we only do one acknowledgment per program, so the number of programs and the number of acknowledgments is the same. That is, less than 12 spots would be $38 each, 12 to 25 spots would be $35 each, and 26 or more would be $30 each. An underwriting acknowledgment always begins with the same lead-in: “This program is made possible by KBOO members and support from…” After that, we can go as long as 15-20 seconds, which doesn’t sound like a lot, but we fit quite a bit in. sources, they are faithful; many listen for several hours every day. want to reach, whether they’re listening to hillbilly or hip hop, public affairs or punk, Bollywood or blues. of Portland’s diverse communities, underwriting acknowledgments reach deeply into those communities. message will always be heard loud and clear. "Back in the late 1960's we were KBOO volunteers, now we gratefully support KBOO through the underwriting program. Its diversity of voices from the community has served as a wellspring of what is authentic in Portland culture." ~Liz and Jim, Hawthorne Auto Clinic, Inc.
94% of consumers are more likely to switch brands if another brand supports a cause and is of similar price and quality*. 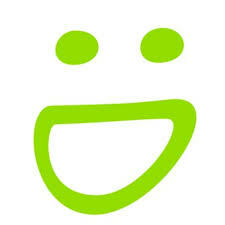 *Research brief from the Center for Media Research Global Consumers Want More Corporate Responsibility. "We believe that independent, non-corporate, locally-based media is critical to a well-functioning society, and we have the greatest respect for the way KBOO fills that role...KBOO delivers the people we want to reach... educated, engaged, aware, and concerned. 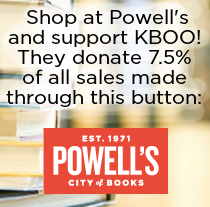 We've been very happy with our support of KBOO, and we recommend any business looking for a strong connection to the Portland community consider KBOO as a way to achieve their goals." We list our underwriters at our website. Please contact our underwriting coordinator, Serena Imani Korn, by sending an email to underwriting [at] kboo.fm, use our online contact form, or by calling 503 231 8032 x219. Additionally, KBOO shall not accept underwriting from religious organizations or political candidates.